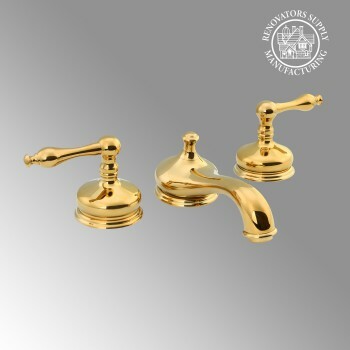 8" Widespread Bathroom Sink Faucet Classic Brass PVD with Belle Lever Handles with Supply Lines from Hot and Cold Valve Levers. 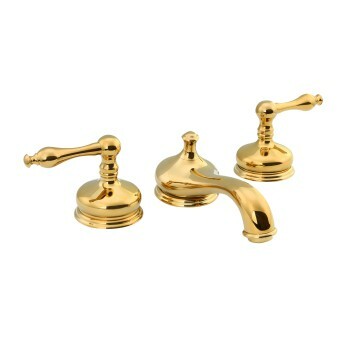 Additionally includes Matching Brass Drain. If the Valve is not properly aligned inward to faucet body we do include Allen wrench that can adjust the Lever Angle.